Many of you may think that there is no difference between CD or DVD duplication and CD or DVD replication. However, there is a big difference between the two in how they are manufactured. Many people think that all discs are the same. Here are some brief explanations that will clear the misconceptions you had until now. How is CD or DVD replication different? The processes of CD and DVD replication are for the mass production of identical copies of a CD or a DVD. The process of replication is when a glass master which has all the data within it is made and is in turn used to create a stamp which is used to create copies. The replica of the CD or the DVD is then protected by a thin layer of polycarbonate plastic. It is then lacquered, screened and then packaged. Since the manufacturing is automated, the cost is less on orders greater than 1,000 copies. How is CD or DVD duplication different? CD duplication and DVD duplication is a process by which you put blank CD-R or DVD-Rs into a burner and copy the contents of a particular CD or DVD or any data that is present on your computer. This is a very simple process but CDs and DVDs are copied and produced on a small scale. 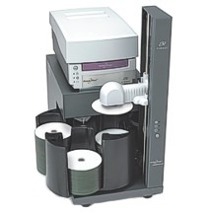 There is not a major difference between CD or DVD replication and CD or DVD duplication. The difference is in the process and the quantity of CDs and DVDs they produce at one time and in the quality of the end product. This entry was posted on Wednesday, August 12th, 2009 at 5:03 pm	and is filed under Articles.